Until “Interdependence Suite” I used only one piano sound per release. But this time, I changed that up completely. For this release, I used four different piano libraries. I tested each of the four sound sets against each of my improvisations and tried to choose the one that sounded best. As you can imagine, this process was fun for me as a pianist and musical geek. What’s a “piano library” anyway? Well, musicians with a studio as small as mine don’t have the luxury of a real grand piano. Instead, we use the sounds that a piano makes loaded into a sound library or virtual instrument. There have been dozens or perhaps even hundreds of attempts to capture the sound of a piano in this way. Over the years, I’ve had many of these available to me. Some have come and gone. A few are good in a mix, but not so great as a solo instrument. These four all are touted as meticulous recordings of fine instruments. For each piano library, I created a series of each octave (7 different pitches) of “D” across the standard 88-keys of a piano. The velocity (speed of striking the key) ranged from 12 to 127 (on a scale of 127). This is intended as a simple way of isolating the sample sets through a large portion of the keyboard (without playing every single pitch and velocity which would be a nightmare to listen to). In addition, I also selected an extract from the end of the first improvisation (“Scared“) and let it play against each of the four libraries. I removed all reverb and other effects (including EQ) from the instruments so that — as much as possible — you only hear the sound of the piano samples. I set the levels of each instrument to hit -1.2 on their individual track level and selected instruments as similar as possible.This included a single mic set (“close”), sustain resonance and pedal noise on, key noise off, etc. The velocity curve was a flat 45-degree angle (i.e., none of the incoming MIDI velocities were altered). As always, I appreciate getting your feedback. Do you use one of these piano libraries? Or maybe you have questions about the details I neglected to mention in this rundown of the comparison? Please leave your comments below. At one time, Ivory was considered by many to be the piano library to beat. And Synthogy has continued to release additional or updated sounds for their virtual instrument. In fact, for many years it was my go-to piano sound. (Examples include “A Minor Thing” and many other recordings.) It’s still a good sample set, but I did not find it as useful and convincing as some of the others. While recording Interdependence Suite, I tested each of my eight improvisations against the three instruments recorded for this library. While they were fine when I listened in isolation, they seemed a bit harsh and distant compared to the other three libraries I tested. As you can hear, this obviously a piano sound when heard alone. The dynamic range is good, but not as compelling as some of the other libraries. Some of the octaves and dynamics seem unconvincing to me. Again, heard on its own, we can easily tell that it’s the sound of a piano. And the foot releasing from the sustain pedal is part of what adds to a basic sense of being right there. But the instrument tone is a bit strident even before the highest dynamics. Nevertheless, it’s on the “Butterfly Effect 1” track (complete with reverb now). When Embertone released their Walker 1955 Steinway, I expected it to be my new best option for recording. The description of the sampling process and instrument options sounded too good to be true. (The download of all the microphone options took several days on my slow internet.) I did choose it for two of the tracks on the Suite. The Walker 1955 is very tweakable. I appreciate the concept of dedicated staccato samples, but have yet to use them in a recording. If you want a single-mic set piano library with lots of ways to manipulate the setup quickly in the interface, this is a fun starting point. In order to match the 1955 with other instruments, I had to load two Embertone sample sets. By the time these were played simultaneously, Kontakt (the Native Instruments engine that both this piano library and the Hammersmith rely on) would sometimes become overloaded. Because the Hammersmith has the dual-mic setup built into their instrument, no such issues occurred there. Notice the instrument resonance in the lowest and highest octave. Whether this is “good” or not will depend on your style of music. It’s okay for solo piano, but the lack of similar resonance in the inner octaves leaves me curious about the sampling methods and mic positioning. I have the sense of playing a piano with this library. It’s a beautiful rendition of a piano. Yet, I’m longing for some closeness that seems to be missing from the sound (especially when moving away from the center octaves). There is a sort of nostalgic sound that lent itself to “Butterfly Effect 2”. Unlike the 1955 and Hammersmith, this instrument loads in UVI Falcon or UVI Workstation. The Ravenscroft is a deep instrument with a massive variety of settings including four mic positions, sustain pedal and sympathetic resonances, lots of pedal noises and options, and so on. Even after many recording sessions with it, I’m sure that I’ve only touched the surface of the tweakability of this virtual instrument. It’s essential to switch the polyphony from “Def” (for default) to “Max” (for maximum). Until I added this setting, the voice stealing (pitches dropping out even though they should have still been decaying) was disconcerting and very unmusical even in sections that were not particularly dense. Initial load times for Falcon with Ravenscroft selected are longer than any of the other libraries tested. Though not as intimate as the Hammersmith, the Ravenscroft has a very beautiful sound. Add to this all of the sonic variables available and you have a wonderful sample library. This piano library is highly playable right “out of the box”, too. The dynamic range and resonance are authentic especially in the lower and upper registers. There is some strident character to some of the higher dynamics. Though a bit muddy in the low-mid end, this piano library is very playable. The sound is convincing and if you don’t like what you hear, it’s likely that you can find the setting to improve it. I’m certain that I’ll use Ravenscroft again. Here it is on “Butterfly Effect 3”. I’ve already reviewed this piano library once. Refer to that (by clicking this paragraph) if you want the details. I continue to find this to be one of the most convincing, intimate, and versatile piano sounds for use in digital recording. The nuance in the sound and sense of “being there” are truly wonderful. I’m certain that I’ll be using this piano library again in the near future. The dynamic range is authentic and dramatic. 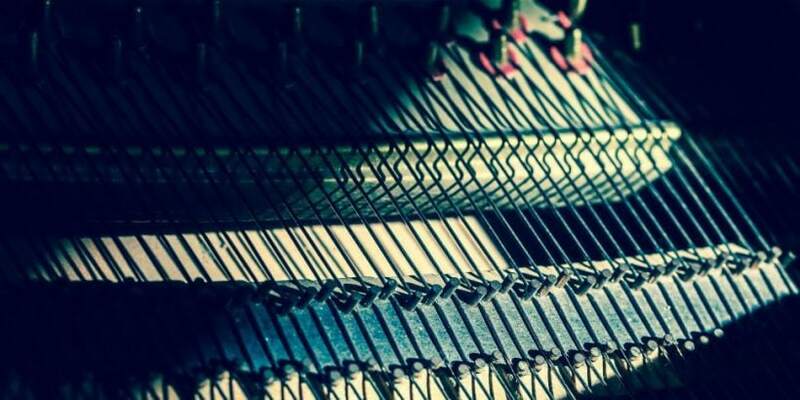 There is resonance and lovely audio trails across the entire piano range. I normally use a different response curve for this instrument, but even with a flat velocity response, the Hammersmith holds up well to the other pianos. Thus, it was selected for two tracks on Interdependence Suite, including “Butterfly Effect 4”. Don’t use Ivory that much any more. I’ve got others depends on the mood I’m creating etc. The bechstein is a real beast, but once you have it set up to your liking it’s very very beautiful. Clear tones, amazing dynamic response. But the best thing is if your computer is powerful enough there is a multi setting that contains top, mid, side.. then its AMAZING! The Ravenscroft is great and I think has a darker tone and is more prominent in the bass. CFX is wonderful as well !